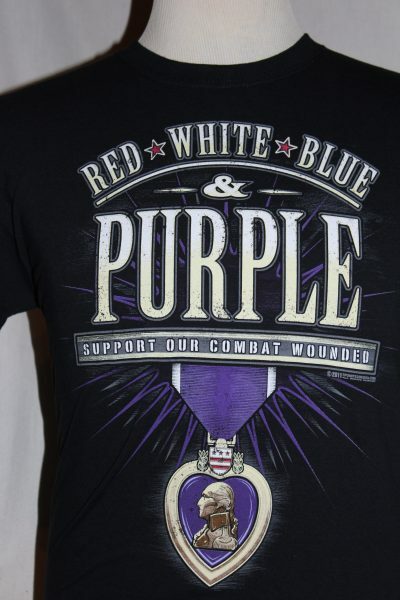 The purple heart T-shirt is a two sided print in black. 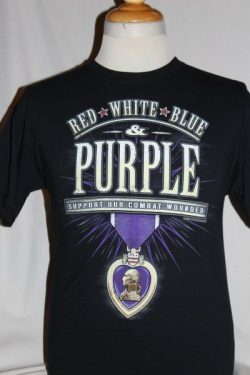 Front Text: Image of the Purple Heart Medal with Text. Back: Small image of the medal on upper back.